I feel like I am failing, we as a family are failing. May (the month) is failing. We came barreling into the month out of the shotgun of busy. Birthdays, and parties, and so much celebrating.. There was weddings and shows and misery and heartache and it all came to a crashing halt. Suddenly we weren’t busy the calendar was empty but our life was disaster. The busy it threw us off. The loss, through me off. I didn’t really have time to let it all sink in until it well over and I sat in the finally quiet of the non busy house and I wept. I had no word I have no words. I have piles. Piles of dishes, of laundry, of school projects, more coming home everyday. Instead of dealing with them I retreated. My body continued to fail me this time with illness. Six days now and I am just starting to find words, lift my head, assess the damage. I don’t know where to go from here. I look up and I count the days. 8 more days of school, a few more celebrations and then retreat. Retreat to the lake, and family and hopefully peace. Peace and quiet to process and understand, find hope and move forward. Oh, yes, too often we stay busy only to avoid the pain after a loss. I kept myself very busy with my children after my mom's death. I'm glad you are taking time in the near future for reflection and relaxation. I'm so sorry for your loss. Staying busy can be a gift, to postpone grief when it knows you are ready to mourn. And when quiet comes, it reminds us of who we are, what is most important, tells how to heal. So sorry for your loss, for the tired weary, for feelings that don't tell the truth (because you aren't a failure). Hoping you get some solace in time of retreat. 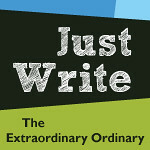 Lovely to meet you through Just Write. Sometimes we need to retreat, back up and just think. Be. Sit. I hope things start looking up for you. One little step at a time- even if those steps are back instead of forward. Take care of you. I know you want to be back to your old self. Thinking of you. I am so sorry for your loss. I have spent years being too busy to grieve as I should and what happens then is it spills over in buckets. It comes out when I least expect it and drags me down day after day. I understand exactly what you mean about waiting to be able to retreat. Life is so much gentler when it slows down. I'm sorry you're going through this, my friend. But I'm really glad you're taking that retreat to help process and to heal, and for you all to find your way home together again. Lifting you up daily and reminding you that I'm only a message and mile away if you I can lend you a hand in the unburying. Whatever that might look like.